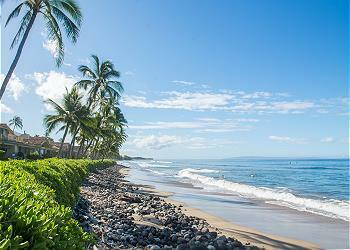 Start planning your Hawaiian vacation today, exploring vacation rentals with easy beach access located throughout Maui. Perfect for the 'beach bum' looking to maximize sun and sand time, these rentals come complete with a variety of other amenities and features. Book online with MPP today! 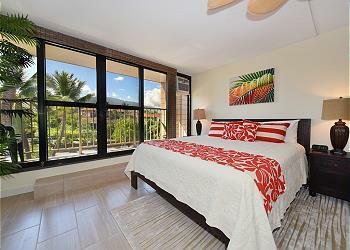 Remolded 1 bedroom/1 bath, 3rd floor unit has view of ocean, pool, Island of Molokai and mountains! Air Conditioning throughout the unit- including living room and bedroom. K building is second from the ocean- only a 2 minute walk to the ocean and beach! 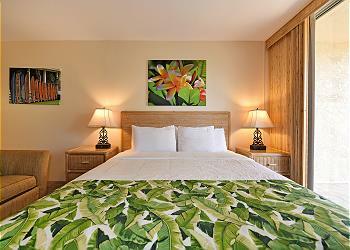 Spend your dream vacation on Maui at The Whaler on Kaanapali Beach. Watch sunsets with colors so beautiful you will wish you were an artist to capture it on canvas. 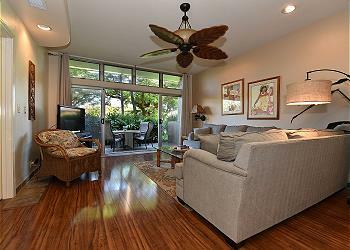 Relax on the lanai where you can see Mauka to Makai (mountain to ocean). 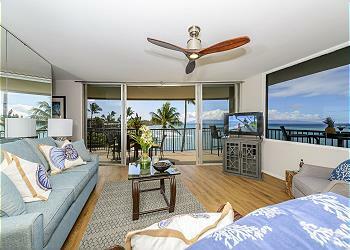 This newly remodeled studio with a sweet ocean view is the perfect place to getaway and relax. This unit is fully furnished with a Cal King bed, a Twin Sofa Sleeper, an intimate Dining Area and spacious Lanai for that indoor-outdoor Maui lifestyle. Unobstructed views of the islands of Moloka'i and Lana'i are available from living room, wrap-around lanai, or grass area that surrounds the lanai.Privacy is paramount with our exclusive location. And nothing beats a Maui sunset from our western exposure. Enjoy unbeatable panoramic views from this highly desirable 6th floor oceanfront corner unit on the Kaanapali coast. You can’t get any closer to the ocean than this resort! Watch gorgeous sunsets over Molokai & Lanai from the comfort of your living room. Just steps away from Lahaina town, this cute 1 bedroom 2 bathroom town home is the perfect place to enjoy your Maui Vacation. Located in the gated community of Puamana, the property offers an ocean side pool, club house and an exercise facility. This beautifully remodeled 1 bedroom, 1 bath condo with a Queen sleeper sofa, will accommodate 4 guests comfortably. The bedroom has a wonderful California King bed that has been raved about constantly by our guests! Only minutes from Lahaina town, this adorable 1 bedroom with AC, throughout, is the perfect place to get away! Amazing ocean views from the bedroom and living room! This great 1bd/1ba is located at a beach-front resort with a pool, hot tub, and more! Plenty of shops, restaurants, and activities are within walking distance as well. Top, 4th floor, Penthouse suite! 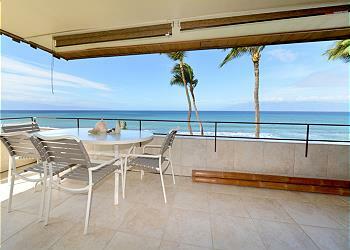 Breathtaking direct oceanfront 275 degree views from our 50'long wrap around lanai. Watch turtles, whales, Molokai and Lanai island sunsets.